The TreeWorks system represents the culmination of years of research by our partnership of GIS developers and arborists. Our innovative approach allows users to not only easily build their tree inventory, but also to continue updating it on a regular basis with your Windows Mobile GPS or your Android/Apple/Windows Phone or Tablet. 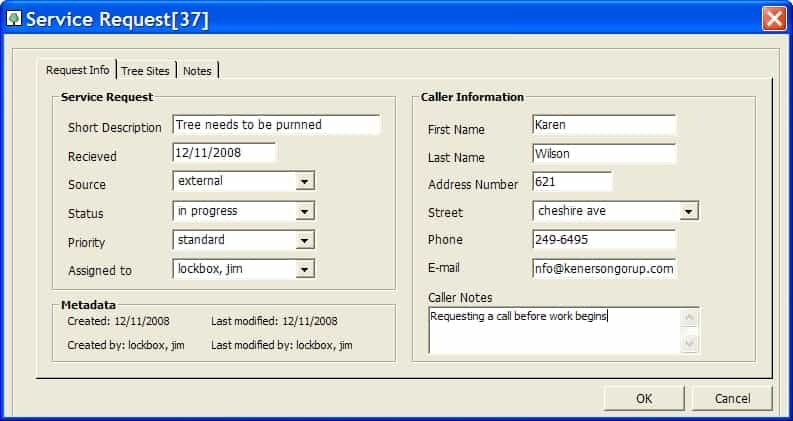 TreeWorks also provides management tools to manage work flow and calls from the community. 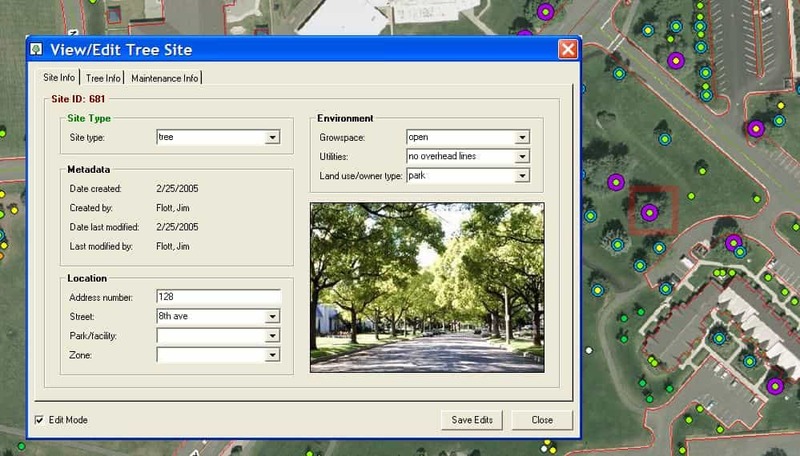 TreeWorks is a fully-integrated, standard extension to ArcGIS Desktop. TreeWorks' mobile component can run on any device. You can collect data with a traditional windows-based GPS device or edit your inventory on-the-fly with your Android/Apple/Windows phone or tablet; the check-in/check-out functionality allows you to keep data you take into the field synchronized with your master database in the office. Take aerial orthophotos out in the field for highly-accurate tree mapping. Additionally, TreeWorks also allows the option of GPS-enabled data capture. Adding a tree to your inventory is as easy as tapping on the map and entering the tree and maintenance info into the pop-up form. Customize the tree and maintenance descriptors to your preferences/requirements. Enter and map service requests as they come to you in the office, and take the info out in the field for inspection and response. Query your maintenance data to create and print work orders; you can log completed work out in the field or back at the office. TreeWorks features automated tree appraisal calculation, based on ISA species ratings and formulas, and your inputted local parameters. Create and track planting sites as well as tree sites. Your organization's existing GIS resources can be leveraged to provide accurate base maps and powerful analytic tools. At the same time, the tree and maintenance data you create and track with TreeWorks can be shared throughout your organization via GIS. Since the release of TreeWorks in 2001, our user community is activley manageing thier urban forests in th US and Canada, and includes small and large municipalities, universities, and a military base. If you have data from old inventories, or from tree management software that is now defunct, we can convert it for you. We hate to see all that hard-earned data go to waste!